Xiaomi, perhaps best known for its inexpensive hardware, began selling its first Android tablet on July 1, and ranked third as China's largest tablet vendor at the end of the third quarter, research firm IDC said Monday. The company had a 7.6 percent market share, 0.6 percentage points behind second place Samsung. But Apple's iPads were still by far the most popular tablets in the country, grabbing a market share of over 29 percent in the quarter. Xiaomi has been making waves in the smartphone market, for selling cutting-edge Android handsets at less than half the price of flagship devices from Apple and Samsung. The phones, although largely sold in China, have been enough to make Xiaomi the world's third largest smartphone vendor, according to IDC. 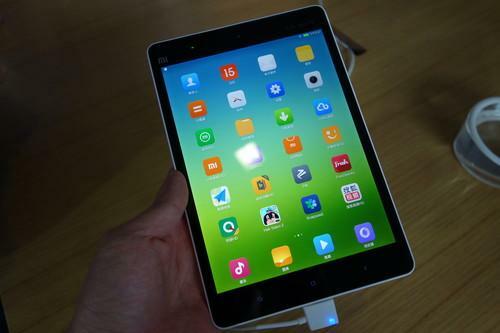 At the time, Xiaomi's CEO Lei Jun hoped the product would put some pressure on Apple's own iPad devices. In China, the iPad mini, a similarly sized device, starts at 2888 yuan. Given that this was the first quarter Xiaomi had ever sold a tablet, the sales were "definitely impressive," putting the company in China's top five vendor rankings, said IDC analyst Avinash Sundaram. "That being said, sustaining this momentum will be challenging for Xiaomi," he added. Demand for tablets is slowing on growing sales of bigger screen phones called "phablets." Xiaomi's own tablets may be cheaper than Apple's iPads, but other Chinese vendors are also selling Android tablets at even lower prices. "For now, it looks like Xiaomi is going after potential iPad customers, albeit at a slightly cheaper price," Sundaram said. "This strategy has its merits, but has been tried before by other vendors with limited success." Xiaomi will have to provide better apps and services on its tablets to stand apart from competitors, he added. Apple has consistently remained China's leading tablet vendor, and in October began selling its newest iPads in the country. In the third quarter, domestic companies Lenovo and Huawei were the fourth and fifth placed vendors, respectively.